The snowpack in the Sierra Nevada mountains, an important natural storage system for California’s water supply, hit a 500-year low this past winter, researchers reported Monday. The new findings, published in the journal Nature Climate Change, underscore the historic nature of California’s ongoing, four-year drought, as well as the challenges the state may face as it combats the one-two punch of higher temperatures and less precipitation. While most people may think of lack of rain as the primary cause of drought, it’s snow that provides one longer-term indicator of how much water will be available in California. Snow that accumulates high in the mountains over the winter months melts when it gets warmer, feeding the rivers and streams that fill the state’s farmlands and swimming pools, as well as support fish and other wildlife. Due to California’s Mediterranean climate, Trouet said, the winters are much wetter than the summers — so by the time the warmer seasons roll around, whatever snow has fallen in the mountains represents the bulk of what the state is likely to get for that year. When California Gov. Jerry Brown announced water cuts last April, he did so standing on dry ground that, under wetter conditions, is usually covered by more than five feet of snow. Hydrologists at the U.S. Department of Agriculture declared the snowpack across the West “gone” back in May, with smatterings left in parts of Colorado, Montana and southern Wyoming. While cities in California have largely been able to adjust to the change in water supply through groundwater pumping, conservation and other means, rural communities have been harder hit -- as have wildlife like the endangered Chinook salmon, whose watery homes have warmed up as the snowpack-fed water flow has decreased. And there’s a good chance winters in the near future might present even lower snow measurements, Trouet said. “In this study we didn’t look into the future, we didn’t model anything toward the future, but given what we know, it is likely that this kind of extreme low snowpack is going to be seen more frequently in the future,” she said. 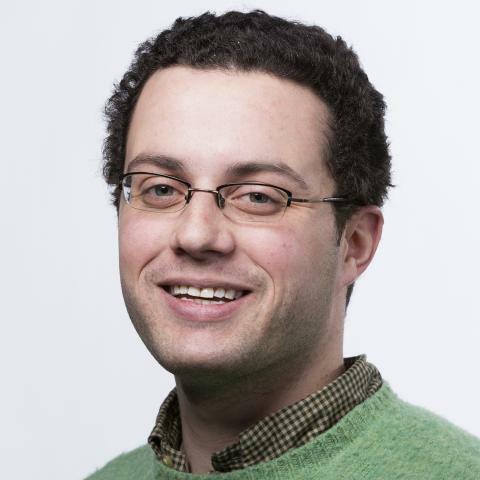 Matthew DeLuca is the Technology and Science editor for NBC News.